In 2010, I was rescued from a puppy mill in Missouri. With a little help, along with 89 other dogs, I made my way to Utah. Eight of us ended up at Furburbia. The hu-mom saw my picture. As you can see, I’m a strawberry-blonde – just like her! 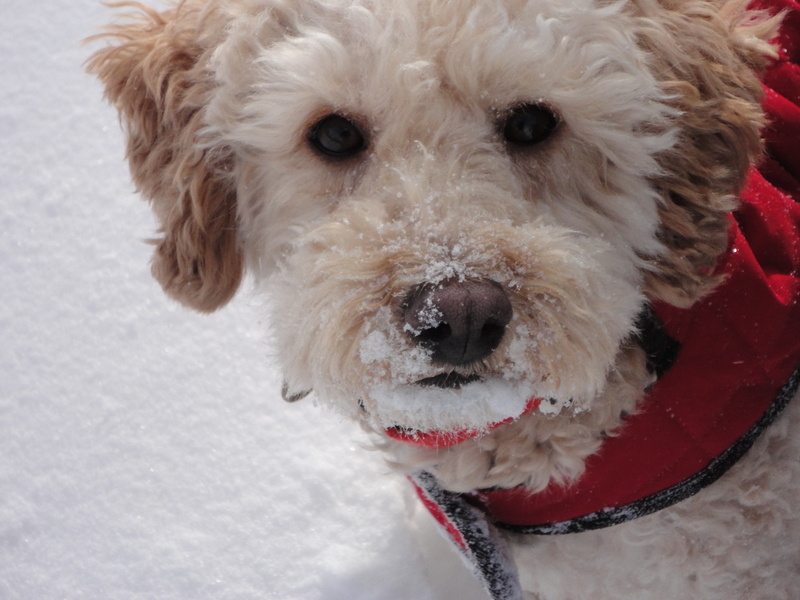 They called me “Barley.” Hu-mom said she was going to foster, but that was never her intent. She came into my kennel and crouched down next to me. I could smell the treats in her pocket, but I pushed myself as far as I could into the corner. Hu-mom picked me up and I made my body rigid. When we got home, hu-mom called me “Harley” because it rhymed with Barley, but sounded tough. She knew I was tough. One day, hu-mom and her friend, Elfie (her real name is Nora), were sitting at the table. I was on the landing of the stairs watching them. According to hu-mom, I was named for Captain Augustus McCrae in Lonesome Dove. He was a Texas Ranger that just needed a second chance. 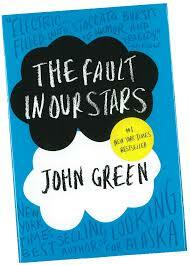 Last year, hu-mom read The Fault in Our Stars by John Green. One of the main characters is like Captain Augustus McCrae. 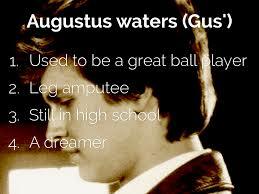 His name is Augustus Waters. He needed a second chance, too. I needed a second chance. My hu-mom’s dad’s dad was named Gustave Sandstrom. After having a horse shot out from underneath him in World War I, he got a second chance, too. This entry was posted in Uncategorized and tagged Augustus McCrae, Augustus Waters, Gus, Lonesome Dove, puppy mill, rescue, The Fault in Our Stars. Bookmark the permalink.